We will be exhibiting alongside our partners, Vernay, at MD&M West, 5-7 February 2019, booth 1958. 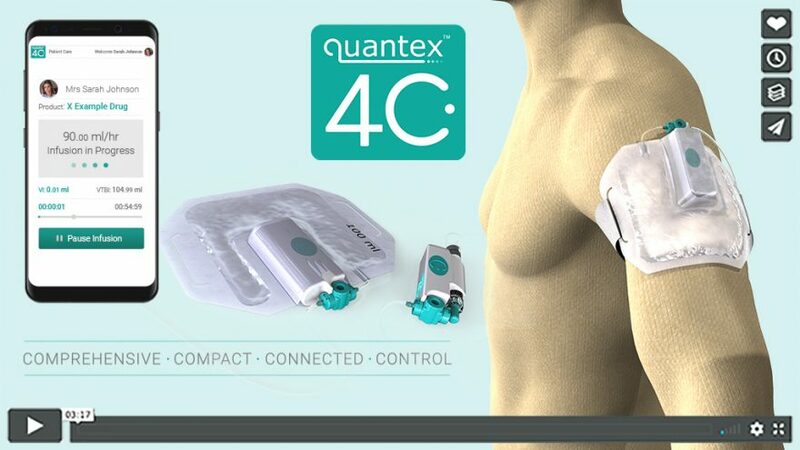 Come and see a demo of our exciting new wearable, mobile app controlled Drug Delivery IoT Platform, ‘Quantex 4C’. Patients can self-infuse up to 100ml with 1AA battery, over any time period from 1hr to 1 week, at home, using a smartphone app that is pre-programmed by the doctor. The doctor can monitor data from the infusions remotely and Pharma companies can harvest depersonalised data to improve product, compliance and user-experience. The drug and the device can also be a tied system, for brand protection. We recently launched the technology at PODD in October 2018 and have had an overwhelming response including interest from several large Pharma companies. Come and see us for a chat and demonstration at MD&M West, Feb 5-7 on Booth 1958.